Calls for submission offer opportunities to publish for writers from the novice to the experienced. Publishers may list their submission requirements at Submit Your Announcement. Living Springs Publishers LLP is now accepting submissions for our Stories Through The Ages short story contests. We are in our 3rd year of publishing the “Stories Through The Ages Baby Boomers Plus” book. Stories for this contest may be about any topic. Tell us about an experience growing up, or use the experience gained from being a Baby Boomer and tell us a story. The story can be fiction or non-fiction it doesn’t matter. The topic for the Sightseer Saga contest is a story based on your travel – beyond that it is open. Tell us about an experience you had, sights you saw and/or people you met. Make it a completely true account, or embellish the truth a bit. For both contests the word count is 900 - 4000 words. The entry fee is $25 for one story and $20 per story when submitting multiple stories. A minimum of the top fifteen finalists will be published in the 2019 edition of each book. Kids at Heart Publishing is excited to announce a mixed- genre anthology exploring dreams that come true. Sometimes our dreams don’t seem to make sense, but other times dreams point to a future event or circumstance that takes place and has meaning in our lives. Whether your specialty is poetry, fiction, or nonfiction, we want to know about dreams that come true and the impact they have on your lives. •Submit original, unpublished works of 3000 words or less. •Up to three poems may be submitted per entry. •Use Times New Roman font, 12 pt. The University of New Orleans Press is looking for full-length fiction manuscripts, either novels or short story collections, for the fifth annual Publishing Lab Prize. The selected author will receive a ten thousand dollar ($10,000) advance on royalties and a contract to publish their winning manuscript with UNO Press. 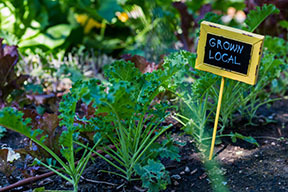 The work does not have to be regionally focused. There is no word limit. There is no limit on subjects covered. Submissions are open until August 31st. 1. Please submit up to three poems totaling no more than ten pages. 2. Unpublished poems preferred, previously published considered with acknowledgement. 3. Attach poems as one .pdf file with your name included. 4. On the subject line write: Ferlinghetti Tribute. and a brief statement describing how Ferlinghetti has influenced you and/or the work submitted (100 words maximum). 6. Email submissions by May 1, 2019 to: saraswati.sf@gmail.com. 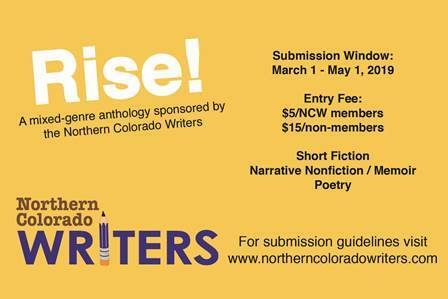 NCW is excited to announce a new mixed-genre anthology exploring the concepts of change, renewal, and rebirth. When things change, we experience a variety of emotions—from anger and fear to courage and hope. There is struggle and strife, but also the opportunity to rise from the ashes and create, grow, and love. Whether your specialty is poetry, fiction, or nonfiction, take us through the good, the bad, and the ugly of change. Alternative magazine The Matador Review is seeking submissions for Summer 2019. Accepting poetry, fiction, flash fiction, and creative non-fiction through May 31. Southern Humanities Review is open to submissions of fiction, nonfiction, and book review pitches until May 1, 2019. We are interested in writers in various stages of their careers, and especially in work from historically underrepresented voices. Please submit through our website. 3Elements Literary Review is now accepting submissions for Issue 23! The elements are DUMBWAITER, SHORE, and SIGIL. All three words must be used in any poetry, fiction, or creative nonfiction submissions. Art and photography submissions must represent at least one of those elements. We have published new and well-known writers and artists from all over the world. 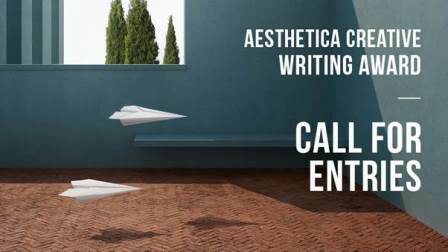 The Aesthetica Creative Writing Award is currently open for submissions. 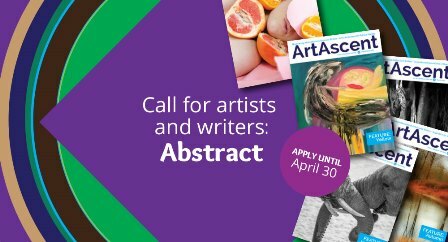 Hosted by the international art and culture publication Aesthetica Magazine, the Award celebrates excellence in Poetry and Short Fiction, supporting new writing talent and presents writers with a fantastic opportunity to further their involvement in the literary world. C&R Press announces our 2019 Winter Soup Bowl Chapbook Series! Selections receive a $100 Honorarium and a reading in NYC. Chapbook series closes March 20, 2019. C&R also has full length prizes. This year’s prizes include $1,000 awards in poetry, fiction and non-fiction. We're now accepting art, creative nonfiction, fiction, and hybrid writing for our next issue with the theme of "Body". If accepted, contributors receive one copy of the issue with their work. Description:	Flash Fiction Magazine accepts submissions all year around. Their word limit is 300-1000 words. Any genre. There is no payment for stories published on the website. They pay $40 per story accepted in anthologies and the best story of every month receives $100. Call For Submissions: "newsprung: art & writing in the deep south"
Written by high school creative writing students, "newsprung" is a blog, not a magazine, not a contest, and as such publishes new work – whether text or image or both – when there is something to publish. In addition to our own posts, we’re seeking to publish and promote the best literary writing, visual art, and fine-art photography by high school students (grades 9 – 12) and their teachers, who are living and working within the Deep South. Our two areas of interest are: writing and literature, and visual art and fine-art photography. We are currently taking submissions for possible inclusion in an ongoing anthology. All information, themes and how to submit, are located on our website. We hope that there are women in your group that will consider sharing their work with us. We will be publishing an electronic version(s) as we also look for a publisher. Thanks for your consideration. Mastodon Publishing is open for full-length submissions in all literary and commercial genres, including fiction, nonfiction, poetry, essays, and special interest (cookbooks, academic, YA, and others). Our goal is to bring diverse and uncensored writing to life in many shapes and forms. Please visit our website https://www.mastodonpublishing.com/ and submittable page https://mastodonpublishing.submittable.com/submit for more information. C&R Press is open for full length manuscripts in all categories, including novels, poetry, short story collections, creative non-fiction, memoir, experimental and hybrid work. We encourage female, minority, LGBT, immigrant, progressive and submerged voices to submit. C&R Press is committed to publishing books from new and emerging writers whose work might otherwise be ignored by commercial publishers. We are interested in supporting authors whose thoughtful and imaginative contribution to contemporary literature deserves recognition and support. C&R Press submissions are also open for our Winter Soup Bowl Chapbook and New York reading series. Soup Bowl Chapbooks are between 20-45 pages of material not including front matter. Winners will receive ten copies of the book and a hosted reading in Brooklyn, NYC. Entries are open until April 21, 2018. Flash Fiction Magazine is open for submissions. There are no deadlines. They pay $40 per story accepted for publication in their anthologies and also host a flash fiction writing course. As an extra bonus, each month they award $100 for the story of the month in their online publication. wildness is an online literary and arts journal that seeks to promote contemporary fiction, poetry and non-fiction that evokes the unknown. Founded in 2015, each thoughtfully compiled issue strives to unearth the works of both established and up-and-coming writers and artists. wildness accepts submissions of poetry, fiction and non-fiction, and considers work in most styles, forms or genres. For a better idea of our preferences we always recommend reading through our previous issues. We currently publish our issues bimonthly (in February, April, June, August, October and December) and read submissions on a rolling basis—all submitted work will simply be considered for the next open issue. 400 and Falling Press will publish a bi-annual journal of literature and the arts. Work will appear online and in-print. We ask for submissions of unpublished work from emerging writers and artists in the following genres: Poetry, Prose, Creative Non-Fiction, Visual Art, Literary criticism and Art criticism. Please follow the submission guidelines carefully for each specific genre. We cannot offer financial compensation at this time. All contributors will receive a copy of the issue in which they are published. We welcome simultaneous submissions, however please inform us if your work is published elsewhere. All literary submissions should be in a .pdf, .docx, or .doc file in 12 pt. Times New Roman type. Please include a cover letter in the body of the email with your contact information and a brief third person bio. All work should be submitted to 400andfallingpress@gmail.com with "Submission Genre: Name: Title" as the subject (for example "Poetry: Frank Stanford: Singing Knives"). Deadline: Submissions rolling. No submission fees. A Quiet Courage online literary journal considers micro fiction and poetry that is 100 words or less in length. Named among the twelve best literary journals of 2015 by Authors Publish Magazine, eight months after founding. Diverse writers welcomed, non-paying market. We publish the edifying and uniquely positive short story, flash fiction, poetry, photography, and digital art. Submission guidelines are online, managed through Submittable, and there are no submission fees. Past issues are free to read online. Annual nominations for our ‘Best of the Best’ cash prize awards.